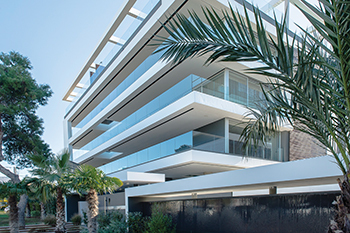 Based in Athens, Greece, JK Property & Yachting has been at the heart of the capital city’s real estate market for 14 years. With Owner/CEO Jeronymo Kontonis at the helm, JK Property & Yachting has continued to grow and evolve alongside the real estate industry by establishing a wider global network of services and connections to better serve their clients. Here, Kontonis talks about what’s keeping the luxury market moving in Greece—and the current challenges that need to be overcome. Please describe your current housing market. With 280,000 real estate properties currently on the market in Greece, we’re seeing demand increase for the older, smaller apartments in the historic center of Athens that are priced between €40,000 and €100,000. There’s also a lot of interest in properties located in the coastline areas of Athens that are priced between €200,000 and €400,000, in addition to properties ranging anywhere from €1,000,000 to €3,000,000 in the premium tourist destinations that include Mykonos, Santorini and Corfu. As far as prices go, they’re currently rising in specific areas of Athens and within most tourist destinations. Tell us about the types of properties in your market, and which are most popular. In addition to selling properties in Athens, we also sell properties located in tourist destinations throughout Greece that are close to the sea. Properties close to the center of Athens, in addition to those close to the sea, are most popular. What types of buyers do you work with? While the main interest traditionally comes from European countries, such as the United Kingdom, Germany, France and Russia, we also work with a lot of buyers from Scandinavian countries. Buyers from the United States and Australia are also a promising market. In fact, more than 100,000 foreigners—mainly from the U.S., Europe and Australia—currently own properties in Greece, with individuals from Russia and Eastern Europe following with an approximate 10 percent share. Over the last three years, we’ve seen a growing interest from those living in the Middle Eastern countries (United Arab Emirates, Lebanon, Israel, Egypt, Kuwait and Saudi Arabia), with many buyers from China, as well. What are some of the most important trends in your market? The most promising point for further foreign investment is the Golden Visa program. Available for non-European Union residents who buy properties valued over €250,000, the program offers these buyers and their families a visa permit that’s valid for five years (with the possibility to renew it for an additional five years). Greece’s Golden Visa program has the lowest investment amount in Europe, and is currently still in effect with more than 1,300 permits issued mainly to buyers from China and Russia, as well as citizens of the United Arab Emirates. Furthermore, there’s an increasing demand for new or totally renovated apartments or villas from both locals and tourists, which is creating competition with existing resale properties. However, it’s rare to find new buildings for rent around big cities (especially in Athens), opening opportunities for buyers to invest in old properties and completely renovate them. What are your biggest challenges/opportunities for growth? While the holiday home, hospitality and residential markets all show promising signs of growth, they’re being significantly affected by the country’s economic condition and high income taxes. The major factors that will challenge these markets include political and economic instability, with government reforms taking place slowly, as well as the privatization program’s slow progress. We also have an unstable tax regime in Greece. In fact, the Value-Added Tax (VAT) has increased from 13 percent to 24 percent in certain areas, which we need to work on decreasing—along with our income tax—in order to attract more foreign investors. And last, but not least, the property ownership tax (ENFIA) needs to be reduced. As the issues noted above improve, the psychology and mentality of Greek residents will recover. At the same time, interested investors will be more motivated to proceed with ventures in the Greek real estate market. How does being part of Leading Real Estate Companies of the World® (LeadingRE) help advance your business? Being a part of LeadingRE will help us to look and work globally as we meet and cooperate with the biggest and most successful real estate companies in the world, exchange ideas and learn new opportunities. And if you’re working with the best, you become better and better. The partnership allows our clients to trust us more to list and sell their properties abroad through both our company and LeadingRE. For more information, please visit www.jkproperty.gr. Paige Tepping is RISMedia’s managing editor. Email her your real estate news ideas at paige@rismedia.com. For the latest real estate news and trends, bookmark RISMedia.com. The post Greece: A Life of Luxury appeared first on RISMedia.